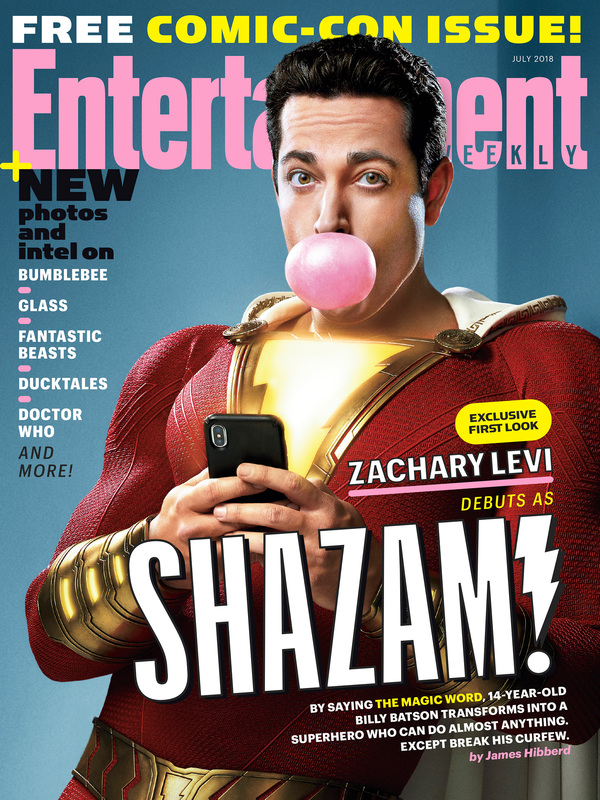 Entertainment Weekly just premiered the cover of their Comic-Con issue, and it features Zachary Levi as Shazam blowing a big bubble as he holds his cell phone. In Shazam, a 14-year-old kid named Billy Batson (played by Asher Angel) can become a superhero by yelling the word “Shazam!”. Levi described the movie as “Superman meets [the movie] Big!”. The free Shazam issue of Entertainment Weekly will be available at San Diego Comic-Con and online later this week.